Home » BJJ vs Other Martial Arts » What’s the difference between traditional martial arts and Brazilian Jiu-Jitsu? The main difference is in perception. 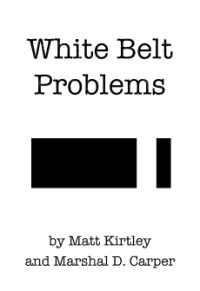 Most people, because of Kung Fu flicks and the Karate Kid equate traditional martial arts with Karate clichés, like standing in lines punching into the air or breaking boards. Jiu-jitsu differs from this perception because most jiu-jitsu training involves rolling around on the ground trying to choke your friends. While a lot of this perception is based on clichés, it’s not entirely false. Traditional martial arts schools, like Karate or Tae Kwon Do, tend to be a lot more structured and regimented than your typical Brazilian Jiu-Jitsu school. In a jiu-jitsu school, students may or may not bow in. They may or may not call their instructor “Sensei” (though “coach” or “professor” are more common). They may or may not start on time. And they may or may not involve a lot more violence. Beyond decorum and stylistic differences, one of the other major points where jiu-jitsu differs from most traditional martial arts is the belt system, particularly age requirements and time requirements. You won’t ever see a 12-year-old jiu-jitsu black belt, and you will rarely meet a black belt that earned his rank in three years. The average is more along the lines of 10 or 15 years. And we like it that way.